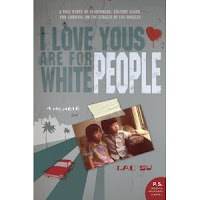 Had the opportunity to hear author Lac Su speak on his memoir, I Love Yous Are For White People, a few days ago at Cal State L.A. and the LA Times Festival of Books. I was totally mesmerized with his story, a true one, as an Asian American immigrant struggling to find himself, win his father's love, and transcend the dangers of life in urban L.A. The title, by the way, comes from an interaction between Lac and his father, when upon telling his father (as a kid) that he loves him, his dad replies along the line of "Stop being soft. I love yous are for white people." If you're into memoirs, you will definitely enjoy this one. Culture Clash, by L Divine, is the latest installment in the Drama High series, featuring main character Jayd, a strong young African American woman living her life in South L.A./Compton. This novel focuses on Jayd's frustration with the way her school is handling Cultural Awareness Day. So, in response, she helps form the first African Student Union organization, much to the dismay of school administrators. Add to the mix Jayd's new favorite hobby -- drag racing -- and a crush on Emilio, a new Latino student at her school, and you've got some big time drama at Drama High. Faithful readers of the Drama High series recommend starting with the first of the series, The Fight. More on the author, L Divine, and the entire Drama High Series. No matter where you start, however, you or a young person in your life will definitely enjoy the Drama High series of books. The schedule is up now for the annual L.A. Times Festival of Books, which takes place this weekend, April 24/25, at the UCLA campus. Lots of good speakers, writers, book sellers, and more. I usually decide last minute which sessions I want to attend. But I'm most definitely excited about seeing/hearing Terry McMillan speak on Sunday at 2:30 pm. Her work is a fave of mine, and I'm looking foward to the new novel, Getting to Happy, coming in September (video clip here of her discussing novel). What/who are you looking forward to seeing or buying at the festival? Disco is still queen... or king. 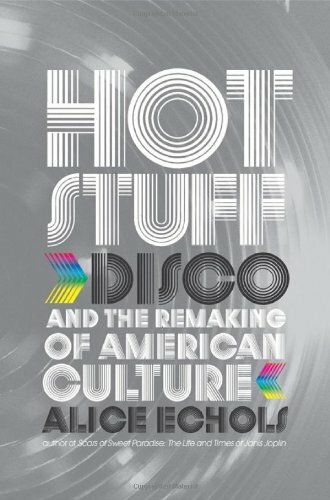 At least it is... according to this new book, Hot Stuff: Disco and the Remaking of American Culture by Alice Echols. The book takes an academic look at the effects of disco on life in the U.S. in the 70s, as well as the effects of society on disco music. It examines the ethnicity, class, gender, and sexual orientation themes of the disco era. Check out this L.A. Times review of the book. In other disco news, just read on Rod 2.0 this heartwarming story about what disco diva Sylvester's estate left a few San Francisco AIDS/HIV community organizations. And we probably have technology, pop culture, and of course Sylvester's music to thank for the legacy and gift. Check out this clip of Sylvester on Joan Rivers' late night show in the 80s. That's the hot stuff for now. 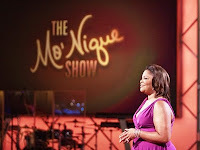 Look for my favorite author of the day, Pamela Samuels Young, on this Tuesday night's, April 20, Mo'Nique Show. She'll be discussing her L.A. based legal thrillers, which I've written about on this blog before -- Buying Time, and Murder on the Down Low. Very rare that talk shows feature black authors on their shows these days. Hopefully this is something Mo'Nique will do regularly on her show. 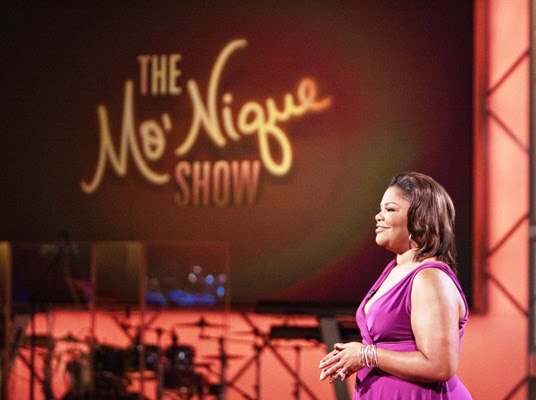 So show Mo'Nique some love for showing black authors some love, and watch the show this week! Talk about word-of-mouth being the ultimate publicity, I never would have known about this novel if one of the readers of this blog hadn't alerted me to it. Thanks Anthony. This one sounds like a winner for sure. 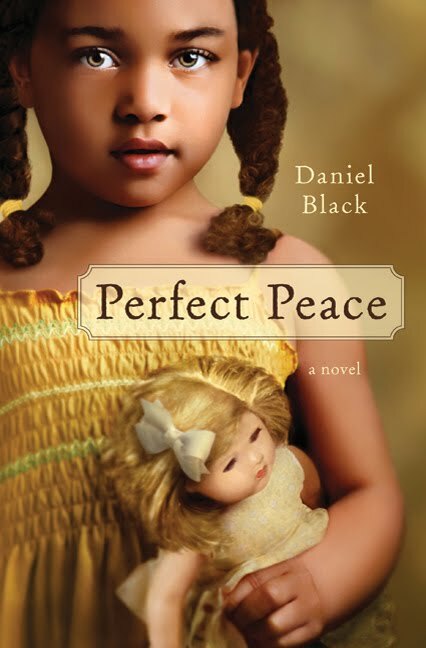 Perfect Peace is the third novel by author Daniel Black. Set in the rural U.S. south, the novel follows Emma Jean Peace's decision to raise her seventh son, Perfect, as the daughter she always wanted, but never gave birth to. When Perfect is eight, someone discovers the gender secret, and it sets off a series of events that leads to multiple questions of identity, gender, biology, and religion. Imagine all that, again, in the South, perceived not to be as open as other areas of the U.S. 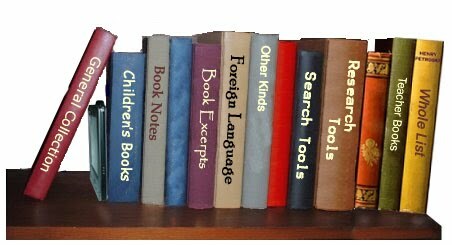 I'm always excited to learn about authors deep into their literary careers. It means I get to read their previous books before getting to their current release. In the case of Daniel Black, he's had two other novels published -- They Tell Me of a Home and The Sacred Place -- and both sound like great reads. Thanks Anthony for the heads up! Enjoy! Looking forward to the newest release from Pearl Cleage, coming April 20, Till You Hear From Me. The novel tells the story of Ida Dunbar, daughter of an old-guard Civil Rights leader and an Obama campaign staffer, who returns home to Atlanta after her father makes some controversial statements that go YouTube and might challenge her role with the Obama administration. That's the short version. As always, there's a lot more than the online summary. 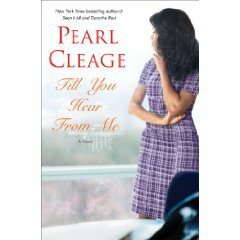 The good thing about Pearl Cleage's novels is that you always get socially conscious reflections, a bit of social justice and history, unapologetically black and proud characters, and conflicts rooted in the black experience and neighborhoods. I never need to know what her novels are about to know I'm going to get a good read. Definitely check this one out. Time flies... and we're already heading into graduation prep season. So crazy how fast time goes. 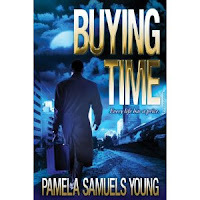 So, I'm reading Buying Time, the latest novel by Pamela Samuels Young. Love it, love it, LOVE it. If you haven't picked up one of her four legal thrillers, you ought to. Deftly plotted. Excellent and authentic dialogue. Strong sistas as leading characters. Someone needs to scoop her novels up as a tv pilot or a film. For real. If you're in L.A. area, she'll be reading and discussing her novels at Cal State L.A. Student Union, Monday, April 12 at 6 pm. Speaking of time, many writers I know say they have very little of it. For some, it might not be a matter of time... but a matter of Twitter? Or Facebook? Very interesting article in this weekend's LA Times: Should a new writer quit Twitter and Facebook? It takes a fascinating look at one writer's reflection on her productivity while giving up the social networks for the first three months of this year. Finally, non-related but related... I just love how seamlessly the singer Monica has bridged old school with new school in her song, Everything To Me. Silly by Deniece Williams was always a favorite, and Monica updates in a very honorable way. Another good novel to add to the list. This one is a coming-of-age story featuring a biracial leading character. 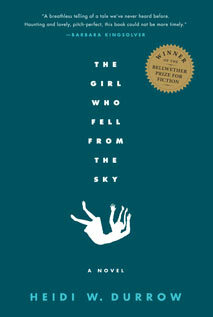 Set in the 1980s, The Girl Who Fell From The Sky, tells the story of Rachel, the daughte of a Danish mother and an African American GI, who becomes the sole survivor of a family tragedy. When Rachel moves in with her strict black grandmother, she wrestles with issues of race, class, beauty, and identity. Written by Heidi W. Durrow, the novel has won the Bellwether Prize for fiction addressing issues of social justice. Listen to an interview with the author on NPR, Re-imagining The Tragic Mulatto.